The Trail Smoke Eaters open up a big doubleheader on home ice as they continue their six-game home stand hosting the Salmon Arm Silverbacks on Friday night at the Trail Memorial Centre. The Smoke Eaters and Silverbacks play in the fifth of their six-game season series with each team earning a pair of victories, including a 5-4 win for Trail in their last meeting at the Shaw Centre in late January. 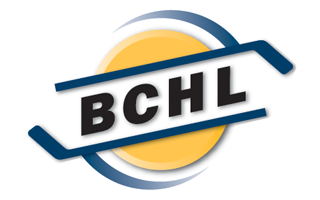 Paul Leroux tallied his first BC Hockey League goal while Trevor Zins, Mack Byers, Tyler Ghirardosi and Owen Ozar added goals in the victory. Donovan Buskey registered his first career BCHL victory, making 28 saves on 32 shots in between the pipes. 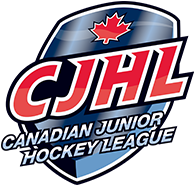 Trail comes into Friday night’s matchup after picking up a 3-2 shootout victory over the Merritt Centennials on Saturday night at the Trail Memorial Centre. Carter Jones and Spencer McLean scored goals 21 seconds apart in the 1st period before the game went the distance to the shootout with Kent Johnson’s forehand-backhand deke being the difference in the win. Adam Marcoux stopped 32 of the 34 shots he faced in his 16th victory of the season. When it comes to shootouts, Kent Johnson has made quite the name for himself as his dangle in the shootout on Saturday night helped secure a Smoke Eaters victory. The University of Michigan commit has gone 5-for-6 on his shootout attempts this season and leads the BCHL in shootout goals with those 5. In fact, the Port Moody, BC native has scored more shootout goals than 11 other teams in the league with Trail leading all of the BCHL with 7 shootout markers this season. The penalty kill has gotten stronger as the season has gone along for the Smoke Eaters and the last five games has seen a big rise in that percentage and could play a big factor into the weekend of games against the Silverbacks. Trail has gone 12-for-15 over their last five contests, good for an 80.0% clip, including going 6-for-6 over the weekend against the Vernon Vipers and Merritt Centennials. 20-year-old netminder Adam Marcoux will get the nod in between the pipes for the Smoke Eaters, making his 42nd appearance of the season. The Calgary, Alberta native is tied for the BCHL lead with Alberni Valley’s John Hawthorne and Prince George’s Logan Neaton in games played by netminders and has fared well as of late, posting two wins in his last three games along with a 2.51 GAA and a .921 SV% in that span as well as denying all six shooters he has faced in the shootout over the span in his two wins. The Salmon Arm Silverbacks come into Friday night’s matchup with a 25-20-4-1 record and sit in 4th place in the Interior Division after a 2-1 shootout victory against the Coquitlam Express on Tuesday night at the Shaw Centre. John Little scored the lone goal in regulation for the ‘Backs while Nick Unruh and Matthew Verboon scored in the shootout to help Salmon Arm to the win. Ethan Langenegger turned aside 27 of the 28 shots he faced in the game in the blue paint for his 16th win of the season. Lengthy point streaks continued for the Silverbacks on Tuesday night as 16-year-old forward John Little has racked up an impressive stretch of 13 consecutive games with at least a point. The Parksville, BC native has earned 7 goals and 9 assists for 16 points in that stretch including goals in three of his last four games. Little comes in with the second longest point streak in the BCHL this season and has registered 16 of his 21 points over the last 13 games. Another Silverback who saw his point streak continue on Tuesday was leading scorer Matthew Verboon, who has points in 11 straight contests, The Colgate University commit has scored 9 goals while adding 9 assists for 18 points during that span with 6 of those games being multi-point affairs. The Richmond Hill, Ontario native tallied two goals and two assists for four points in the two games these two teams played a couple of weekends ago in Salmon Arm. Ethan Langenegger has been providing the opposition with a tough path to try and score as the Silverbacks goaltender is playing very well in between the pipes. The Kamloops, BC native has won his last four games, holding a 1.71 GAA and a .951 SV% in that time including a 30-save performance in an overtime victory against the Smoke Eaters on January 25th. The Smoke Eaters and Silverbacks drop the puck on their first of two games against each other on the weekend on Friday night at 7:00 PM from the Trail Memorial Centre. Tickets are available for purchase at the Smoke Eaters Main Office as well as at the door ahead of the opening face-off.